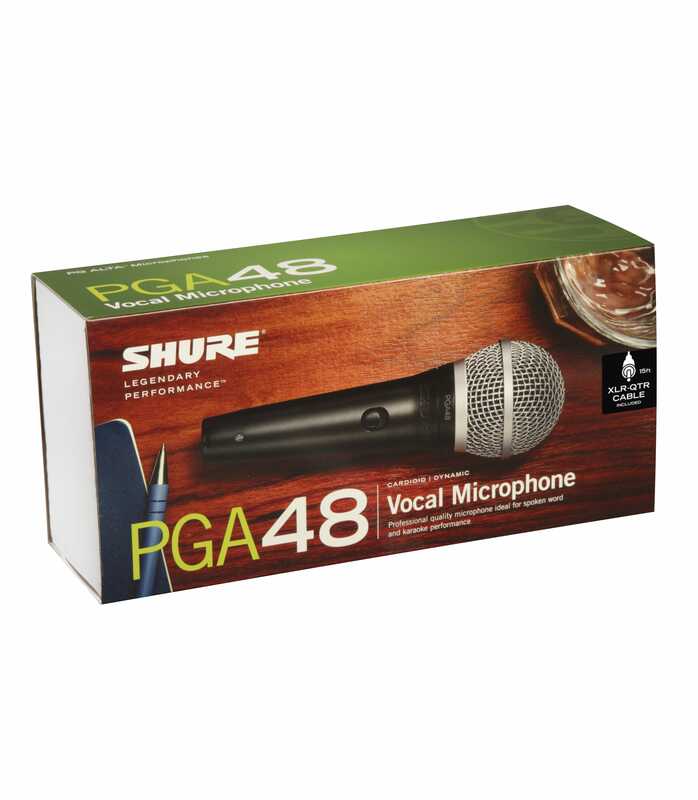 The PGA48 Cardioid Dynamic Vocal Microphone from Shure features a durable, rugged design geared towards spoken word and karaoke use, and includes an XLR to 1/4" cable. 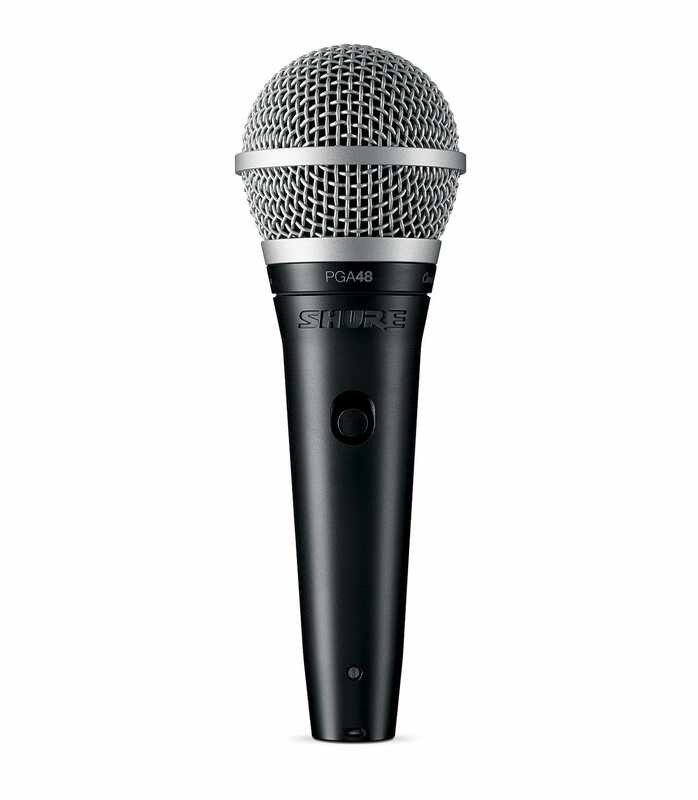 It is tuned specifically for clarity in the standard speech frequency range, and has an On/Off switch, allowing the user to quickly quiet the microphone when needed. A microphone clip, stand adapter, and zippered carrying pouch are also included. Tailored microphone cartridge design specifically for clarity in the standard frequency range of speech. Cardioid polar pattern picks up audio from the source while rejecting unwanted noise. Industrial design with black metallic finish and classic silver ball grille. On/Off switch for discrete control of microphone operation.Stand adapter for mounting to a microphone stand. Zipper pouch included for additional protection during storage or transport. 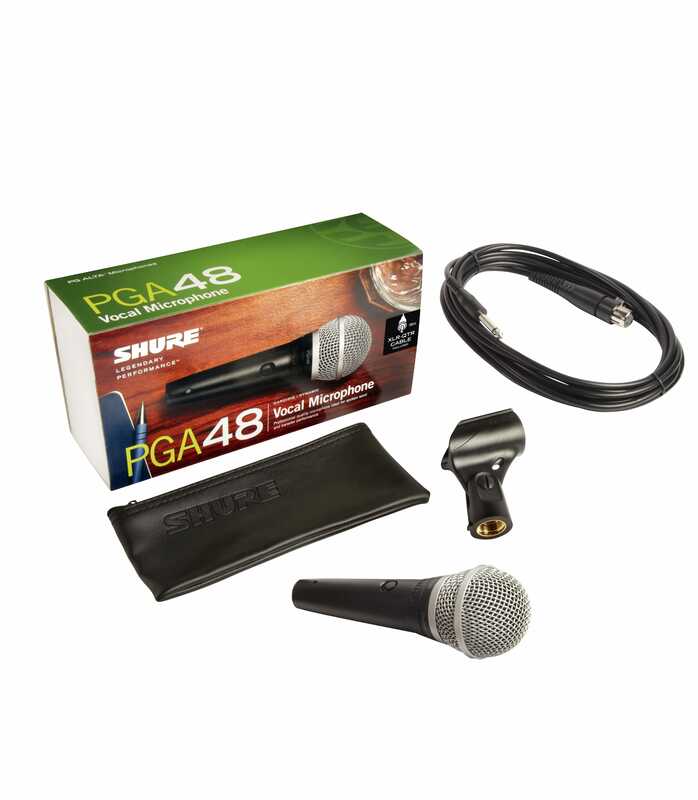 PGA48 QTR E from Shure is 100% original and is available at NMK Electronics. Speak to our expert for booking a live demonstration. After sales customer service is an integral part of our business ethic and is taken very seriously.